In the Spring of 2015 I started my Masters in Educational Technology. A year later I am in the process of writing the methodology section of my research project and a few weeks or months from testing a project in a high school setting. 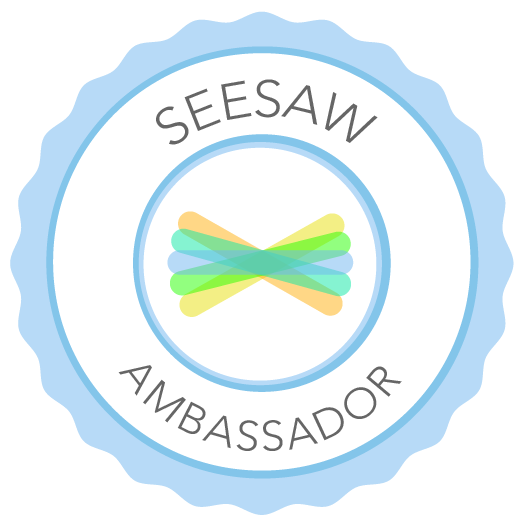 I am passionate about helping students use electronic devices and access the internet from a legal, ethical, and safe perspective. The work of Mike Ribble has been fundamental in directing my research efforts to the right places and for the right reasons. 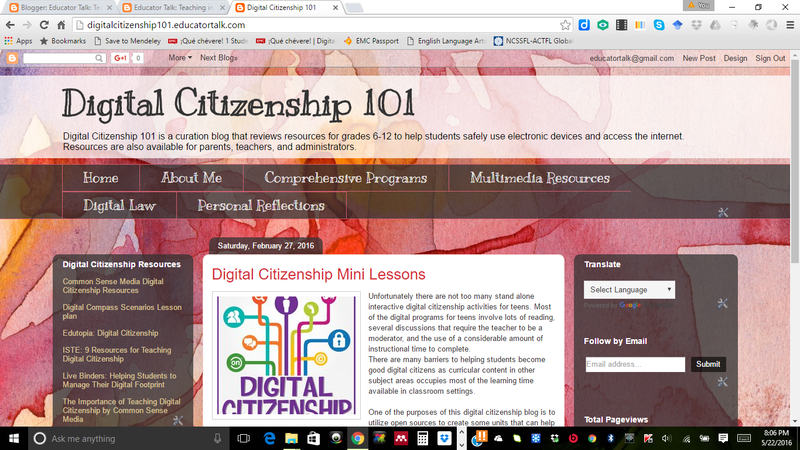 Out of my desire to help teachers and students find more digital citizenship resources, I have created a blog called: Digital Citizenship 101. The title came to me as I was doing my literature review and found out that teaching digital citizenship in schools should not be an added curriculum tasks for educators. Schools have traditionally been a place where citizenship is expected to be taught for citizens to become active participants of democratic societies. It is no longer a matter of choice to teach or not to teach digital citizenship in the classroom. As we move on with technology integration plans in school districts, it is our obligation to ensure that students will be protected from what it can be the devastating effects of careless use and exposure to online access. The foundation of www.educatortalk.com is to promote 21st Century skills in a responsible and ethical manner. Please check my new digital citizenship project and comment on it.